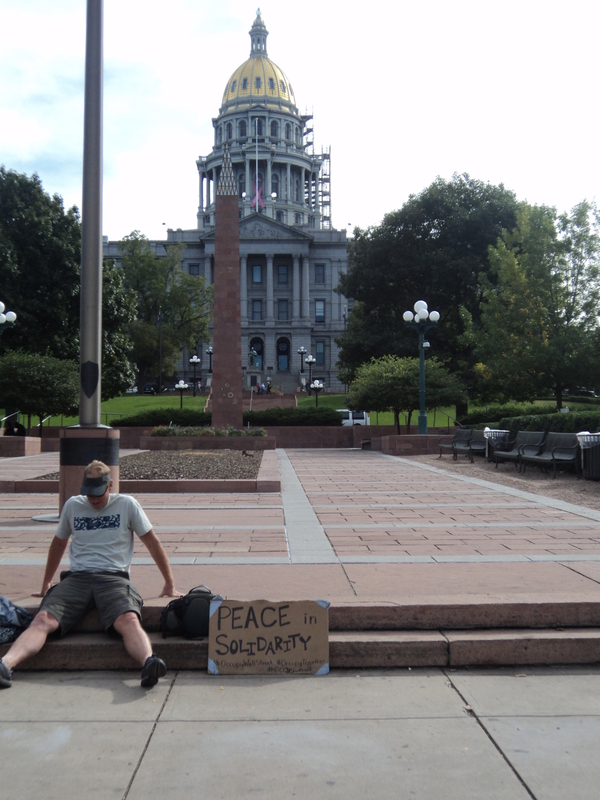 Doug Barry, 53, spends his third day in the Occupy Denver camp. Photos by Nikki Work. 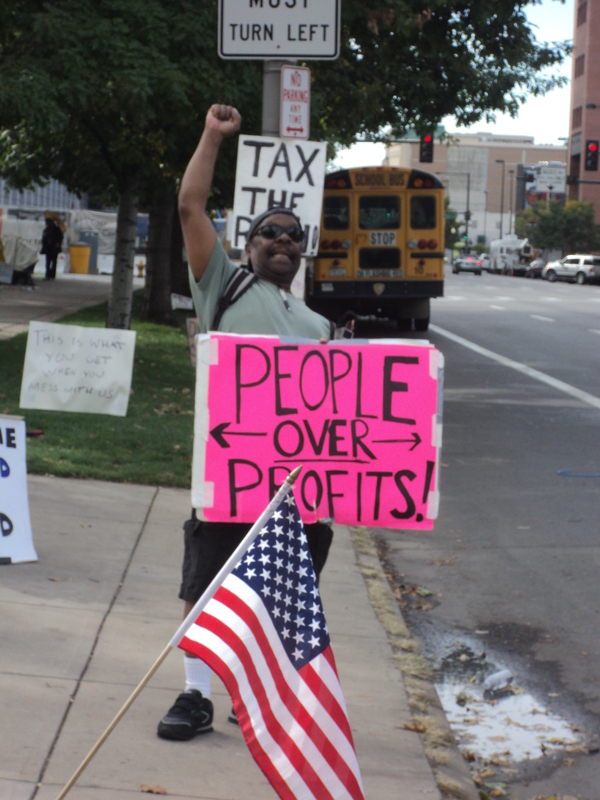 DENVER — On Sept. 17, the activist group Occupy Wall Street began their protest of the American financial and governmental system in New York City. As the protest gained momentum and scope, it took on the name Occupy Together, and spread outside of Manhattan to other metropolitan areas, such as Boston, Chicago and Los Angeles. And now, the protest has come to Denver. At Civic Center Park, protesters have been gathering to show their support for the movement in New York and their own discontent for the state of the economy and government. 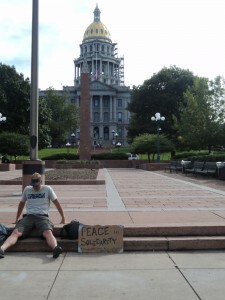 Occupy Denver, the name of that the protesters have taken on, is growing larger every day. Corey Donahue, 28, has spent a week and a half with the group, and has been camping out overnight in the park and spending the majority of his time in the occupancy. To Donahue, the protest is just as much about personal goals and ideologies as it is about government and economic unrest. “It’s a way where people can come together and express the ideas that have been silenced and ignored by the government for such a long time. It just means, really, an invigoration of our right to assemble,” Donahue said. 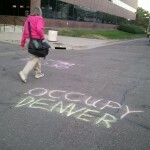 Occupy Denver shows up on campus via sidewalk chalk publicity. Though the protest is still relatively small, it is gaining immense community support. The encampment is full of donated food, water and blankets and there is a symphony of honks from both private cars and company semis near the occupancy on 14th Street. “It’s just about people finally taking accountability and responsibility for the government, the one they’ve created, instead of letting it fall by the wayside and saying we’ll pass the buck to the next generation, or we’ll take care of it later, but there really is no later,” Donahue said. 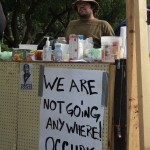 Occupy Denver is expanding daily, both in protesters and in action. The occupancy has an information desk, a free public kitchen dubbed “the Thunder Dome,” a medical center and a security checkpoint, in addition to ongoing construction and expansion. The group holds general assemblies each day, weekly marches and occasional protests. 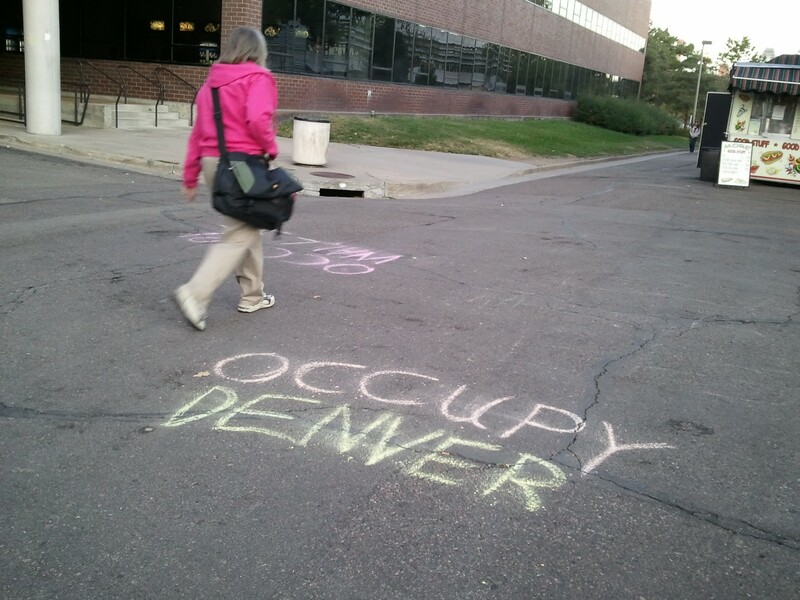 This week on the Auraria Campus, sidewalk chalk advertisements for the protest popped up on various, high-traffic walkways, bringing a little bit of Occupy Denver’s message to Metro. Food, water and blankets, protesters say they are prepared for the long haul. While the protest has not been at the forefront of Denver’s media outlets, major news providers 9 News, CBS Denver and the Denver Post have covered stories of the East Coast standoff, and its new backyard manifestations. Fleisher went on to say that he believes most economists would look at this protest and just shrug their shoulders. 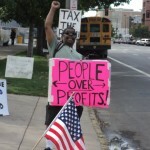 Denverites gather at Civic Center Park to join other Americans across the nation protesting against Wall Street. 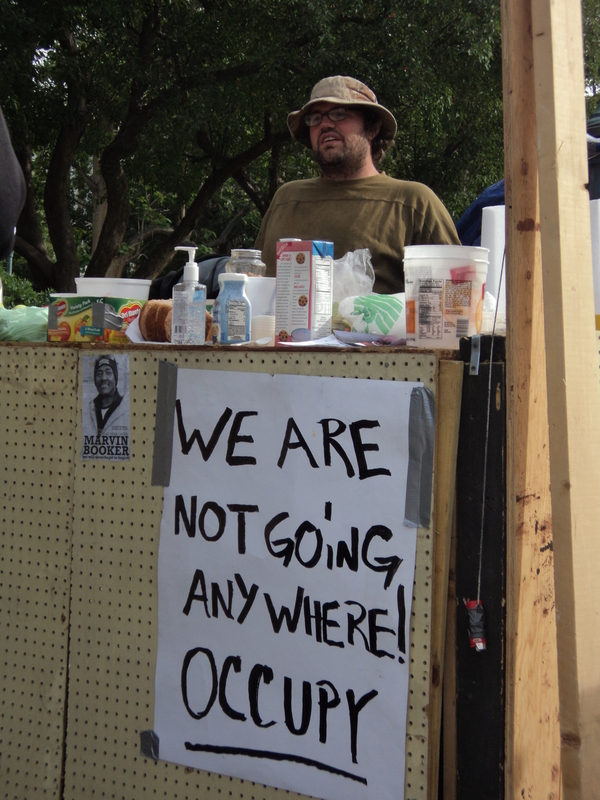 Clear purpose or not, Occupy Together is in its third week, and Occupy Denver is on Day 14. Protesters said that despite the weather getting colder, they have no intention of slowing down or stopping anytime soon. A very well written story! It’s interesting that the “experts” give so little recognition to these protests and seem to shrug the participants off as “ignorant protesters.” I would imagine that anytime in our great nation’s history people who have stood up against the institution have been dismissed in a similar fashion to begin with. Indeed, many of the people “occupying” may not have advanced degrees in economics, or public policies, but they see something which they feel is wrong and are active in standing up against it. I commend those who have spent nights, if not weeks, making themselves seen and heard. Well done Nikki. Great job on interviewing peepz. You’ve got a very broadcast-y writing style. Nice story for a bad occurancy in our country. Good story and great quotes. I can’t believe how dismissive the experts are either. They seem to lump all the people together in an ignorant mass. I ride the bus past their camp and it seems to have gotten quite a bit bigger in the past week.